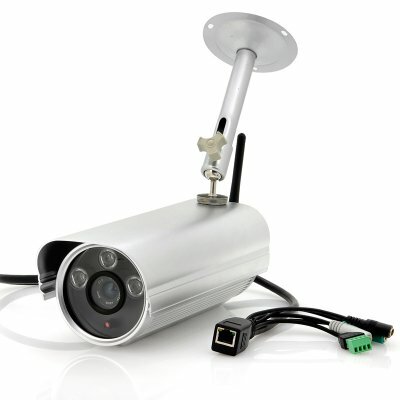 Successfully Added 1/4 Inch CMOS Outdoor IP Camera - WDR, H.264, Weatherproof, Motion Detection to your Shopping Cart. 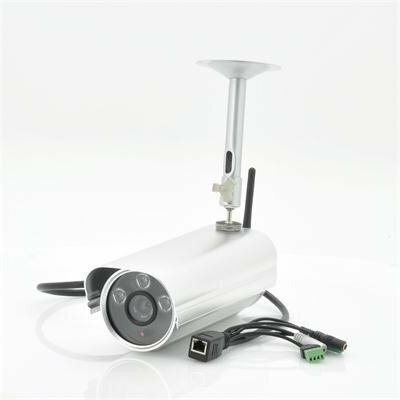 1/4 Inch CMOS Outoord IP Camera with WDR wide dynamic range, H.264 compression, weatherproof and also has motion detection is a clever way to increase your security. Improve the protection of your property with this 1 megapixel 1/4 inch CMOS IP camera. With a airstream trailer style casing, this camera with 3 dot matrix LEDs have a range of up to 50 meters, ensuring all that can cause a threat are seen. Being weatherproof means that this IP outdoor camera can be store outside your factory entrance as it can withstand the best of what Mother Nature has. By means of H.264 video compression, the video records at a lower bit rate but with higher quality, which means better video and less storage required. H.264 is a standard for video compression, and is currently one of the most regularly used formats for the recording, compression, and distribution of high definition video. This IP camera has a clever feature known as WDR, which is an abbreviation for wide dynamic range. WDR provides clear images even under back light circumstances where intensity of illumination can vary excessively, namely when there are both very bright and very dark areas simultaneously in the field of view of the camera. The WDR on this camera also allows the imaging system to correct for the strong back light surrounding a subject and therefore enhances the ability to distinguish features and shapes on the subject. Motion detection is also a feature on this camera that guarantees that it will become active when something or someone unexpected enters within the camera’s motion detection range. Also you can transfer your footage using a micro SD card by inserting it into the protective micro SD card port that supports up to 32GB. Ensure your property is safe with this IP camera that features wide dynamic range, H,264 compression and is design to take the heat by being made weatherproof. This product is in stock and can be dispatched within 24 hours of ordering with a 12 month warranty. Brought to you by the leaders in wholesale electronics and IP Cameras, Chinavasion.